Martin, 24, is a midfielder for Minnesota United. Originally from Chevy Chase, Md., Martin also once played for D.C. United. He came out as gay last year making him the second Major League Soccer player to come out following Robbie Rogers. Martin is currently the only out gay athlete across the MLS, NFL, NBA, NHL and MLB. 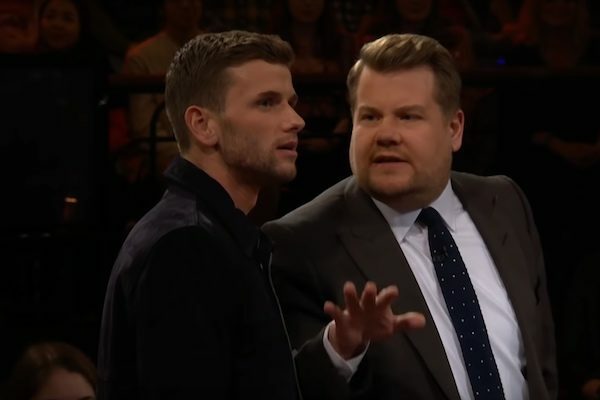 In the segment, Corden tries to get a feel for Martin’s type and asks him who is his celebrity crush. Martin reveals it’s “Call Me By Your Name” and “Beautiful Boy” star Timothée Chalamet. Martin proceeds to choose his top three guys before selecting one to go on a date backstage.